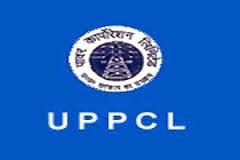 UPPCL Recruitment 2015: The Electricity Service Commission, Uttar Pradesh Power Corporation Ltd invites the applicants for the recruitment of Junior Engineer and Assistant Engineer (Civil & Electrical) for the 981 vacancies. If candidates are looking the Engineer jobs in Uttar Pradesh, then they will apply to the Uttar Pradesh Power Corporation Ltd recruitment 2015. All of the eligible candidates go to visit the official website and then apply the application process through the online mode and it begins from May 17th, 2015. The applicant should apply the UPPCL recruitment 2015 before the last date on June 6th, 2015. It is one of the huge number of the vacancies in the Government of Uttar Pradesh. Eligible candidates should use this great opportunity and don't miss it. The Junior Engineer candidate should complete the Diploma in Civil/Electrical Engineering from a recognized any university/institute. Assistant Engineer applicants must possess the Degree in the Civil/Electrical Engineering from any recognized University. The candidate age must be minimum 18 years and maximum age limit is 40 years for the Junior Engineer posts. The Assistant Engineer candidate age should not less than 21 years and not more than 40 years for the UPPCL recruitment 2015. The selection of the candidates will be based on the written examination. It has the computer based exam and then qualify candidate called for the direct interview process. Go to log on the official site at the uppcl.org. Click to read the official notification. Apply the application through the online mode. Enter the essential information and pay the application fee by using Credit Card/Debit Card/ Net Banking. After submitting the application and print it.